All the dishes that made up our Tanzanian feast at the end of our cultural walk throught the town of Mto wa Mbu near Lake Manyara, Tanzania. 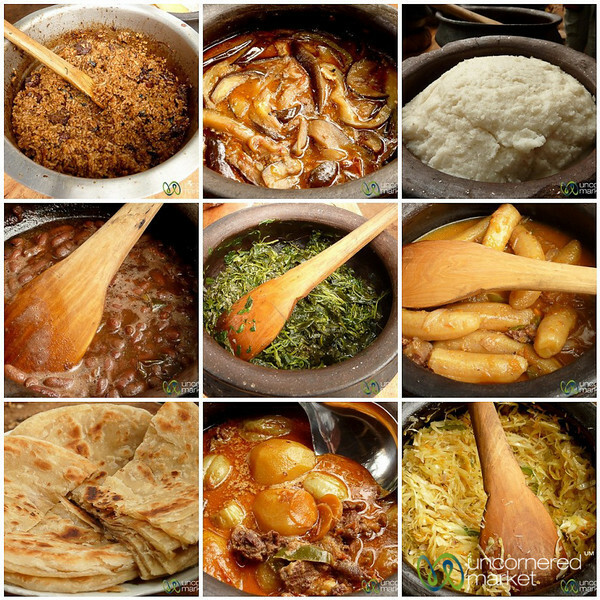 Pilau with beef, eggplant stew, ugali, kidney beans, spinach, banana curry, chapatis, beef stew and cooked cabbage. Delicious!